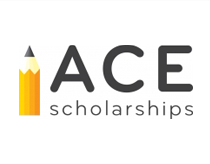 The ACE Scholarships Annual Luncheon, hosted by the ACE Board of Trustees and Board of Advisors, provides community-focused businesses with an opportunity to showcase their support for education and their commitment to the community. This year, ACE Scholarships will be welcoming George F. Will to the Annual Luncheon. George Will is a well established Journalist and has been a columnist for The Washington Post since 1974. Today his column appears twice weekly in approximately 500 newspapers in the United States and in Europe. Among his many accomplishments, Will is also a regular contributing editor of Newsweek magazine. Reiman Foundation CEO Scott Reiman has long supported ACE Scholarships and continues to serve on the ACE Board of Trustees. Additionally, Scott serves as a board member for the Graland Country Day School and has served as a trustee for the University of Denver, and was a board member for the Rocky Mountain Public Broadcasting Network. Join ACE Scholarships in support of this opportunity to focus on the importance of education.